Each year at the Mundelein Fine Arts Festival the Kirk Players award the top new artist the Kirk Players Emerging Artist Award with a $500 prize! This year's winner was Sarah Goodyear! 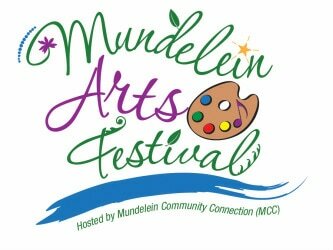 The Annual Mundelein Fine Arts Festival is sponsored by Mundelein Community Connection in September. A juried art festival that will showcase the talents of over 45 fine artists and craftspeople who work in a variety of media. The two-day event will be held at Kracklauer Park in downtown Mundelein in September annually and will feature top-notch artists, local musicians and tasty food.